When selecting products for use in wet areas such as bathrooms, showers and of course wetrooms, it is vital to make the correct choices to avoid future problems and costly failures. Ensuring that water sensitive or water resistant backgrounds in your wetroom, bathroom or shower installation are fully waterproof is perhaps the most important consideration because tiles, tile adhesive and tile grout on their own will not protect against water ingress through to porous materials. This is outlined in the British Standards where it states that the use of a ceramic tile together with an impervious tile grout and tile adhesive are not a substitute for tanked or waterproofed substrates. The effects of water damage are well known and documented! We would always recommend incorporating a suitable waterproof membrane onto non-waterproof substrates prior to tiling wet room installations. The substrate surfaces are always to be prepared correctly with the application in mind and prior to the ceramic or natural stone tiles being fixed. A tanking slurry, such as BAL Tank-it, can be specified to waterproof backgrounds prior to the typical installations involving tiles in wet areas i.e. showers, swimming pools etc. A two-part product, BAL Tank-it has EN Classification BS EN 14891, this means it is suitable for internal and external waterproofing including terraces, balconies and even fountains, as well as saunas, hot tubs and spas. Before tanking any background always ensure that it is flat, clean, dry, sound and free from barriers to adhesion. All falls in the floor should be designed to be between 1:35 and 1:80. For example you may need your installer to render solid uneven walls first, or correct floor levels using a floor levelling compound such as BAL Level Max, ensuring SR1 surface regularity (3mm under 2m straight edge) as required by British Standards. The waterproof membrane should also be capable of working with the floor drain selected. This should always be checked first. With some waterproofing products it may be necessary to also prime the background first (although this is not necessary with BAL Tank-it). When selecting the right tile adhesive and tile grout for your wetroom, shower or bathroom, a number of factors need to be taken into account, including the substrate, tile size and type, and the environment. Selecting the wrong adhesive or grout however could lead to disastrous and unsightly consequences including cracking or de-bonding of your tiles. This can result in remedial work, financial pain, intrusive repairs and on occasion recompense. Purely specifying an adhesive or grout based on its classification alone does not always guarantee success – as other factors may render the selection invalid. Firstly let’s look at the substrate or background. Whether the tiles will be going onto plasterboard, tile-backer boards, tongue & groove floorboards, sand: cement screeds or even existing tiles; there can be a significant differences between adhesive selections. For example where floor coverings need to resist some limited movement or vibration, then a flexible/deformable adhesive and grout with equivalent flexible properties should be selected. Polymer modified adhesives and grouts have the addition of either powdered polymers, pre-blended at the manufacturing stage or can be modified with a liquid polymer additive. This enhances the physical and mechanical properties of the product. In a wet area the adhesive and grout must be capable of being exposed to dry and wet conditions. It should also be able to withstand thermal fluctuations – particularly if the assembly includes underfloor heating. Supporting heavy weights/loads, where necessary. Withstanding exposure to cleaning and maintenance chemicals. Tile type and size also plays a significant factor in determining your adhesive and grout. Ask yourself “are my chosen tiles porous?” are they glazed, fully vitrified, light-coloured/translucent or natural stone? Is the material you are using vulnerable to water-staining? 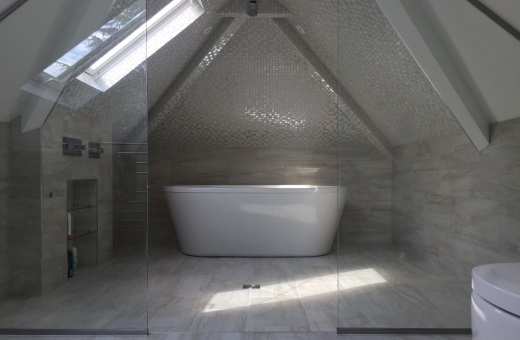 Are you using large format or mosaic tiles and are they mesh-backed? Are the tiles slip resistant? For example ready-mixed adhesives may be suitable for porous-bodied ceramic tiles, but for porcelain tiles a highly polymer-modified cementitious adhesive would be recommended. Ready-mixed adhesives are also not suitable for floor tiling or for tiles over 300x300mm. Where light colours or translucent natural stone is to be installed; a rapid-setting and drying white cementitious adhesive is recommended in order to minimise any potential risks of water staining. A pourable thick bed adhesive may be required for floor tiling with large format tiling or uncalibrated natural materials. There are other factors which should be considered and more importantly are NOT covered by the tile classification. Some of these include ease of use, coverage, colour, pot life, working or adjustment time and also cost. As well as taking these factors into consideration, we would always recommend checking with your adhesive manufacturer to ensure that you have selected the correct adhesive and grout for your project. BAL’s industry-renowned Technical Advisory Service are on call every week day from 8-5 pm and can provide NBS specifications, product support, project solutions and advice. As the market-leaders for tiling solutions, BAL also has a nationwide team of Product Support Technicians who can provide on-site consultancy to your installers or designers.